As the world entered the 21st Century, the Internet Age hit with full force, and the impact on journalism was fierce. Commercial media was clobbered by two blows. First came the loss of advertising revenue, as print and broadcast ads either went online, for much cheaper, or vanished entirely. And then in 2007 came the global recession, which caused economic trouble almost everywhere, but struck the news media when it was already down. Tens of thousands of journalism jobs were lost worldwide. Investigative journalists – whose work is often seen as risky and controversial – were easy targets for nervous publishers, and they were fired by the hundreds. It was clear to many of us that alternative models were needed –that commercial media could not be depended on to support in-depth, public-interest, watchdog reporting. At conferences and workshops, at bars and coffee shops, at universities and think tanks, investigative journalists and their allies began brainstorming and then pushing a whole series of experiments to create a support system for investigative work. Among the most promising alternatives were the nonprofits. By the time the recession hit in 2007, nonprofit investigative journalism centers had already taken off worldwide. Indeed, the global spread of investigative journalism owes much to the growing network of nonprofit organizations. The groups are a diverse array of actors that includes reporting organizations, training institutes, small grant-making bodies, and regional and global networks that link journalists in person and online. Some organizations combine several of these roles. The nonprofit model began in the 1970s and ’80s, with a handful of U.S.-based nonprofits devoted to advancing investigative journalism. Joined by organizations in Scandinavia and the Philippines, the model caught on after the collapse of Communism in Eastern Europe. New centers in Armenia, Romania, and Bosnia began in the early 2000s, offering a home for reporters to write hard-hitting stories that major media in those countries would not carry. At the same time, similar groups were formed in Brazil, the Netherlands, and South Africa. International conferences, workshops, and online media helped spread the model worldwide. They get their funding mostly from private foundations in the West, and in developing and transitioning countries from international assistance grants by Western governments. But increasingly the groups are diversifying their income, earning funds by selling subscriptions, data, TV footage, and even advertising; holding public events and conferences; and becoming membership organizations. The various groups range widely in staff and budget, from two-person operations in the developing world to the multimillion-dollar ProPublica with offices on New York’s Wall Street. The nonprofits are not appropriate everywhere, and not every model will work in a given environment. But they have proved to be a viable model for several reasons. In developing and democratizing countries, they often serve, quite literally, as centers of excellence, offering firsthand proof that top-flight reporting can be done on crime, corruption, and accountability. “The role of the Center is as a catalyst–to show that this kind of reporting is possible and to encourage others to do it,” said Sheila Coronel, co-founder of the Philippine Center for Investigative Journalism. 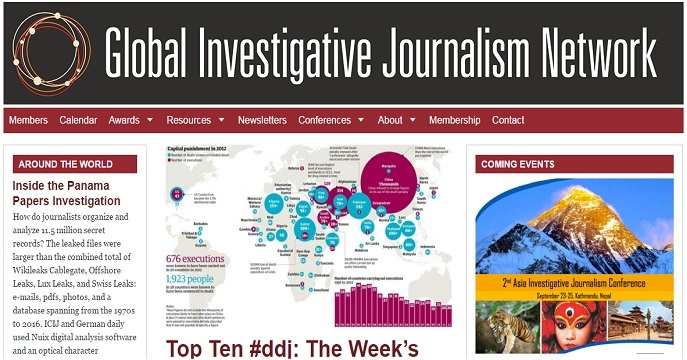 The PCIJ’s work has indeed inspired the creation of investigative teams at Filipino TV news stations and newspapers. Drew Sullivan, founder of the Bosnian Center for Investigative Reporting (known by its local acronym CIN) calls it “leveraging standards into the local media.” Newspapers in Sarajevo, he noted, began telling their reporters they want CIN-type stories – well-documented, in-depth pieces that stand apart from the opinionated, thinly reported stories that fill so many dailies. When we surveyed nonprofit investigative journalism organizations in 2007, we found 39 groups in 26 countries, with more than half of those appearing since 2000. A follow-up 2012 survey found the number had more than doubled, to 106 nonprofits in 47 countries. Today, we believe the number is probably more than 130 around the world. And the trend is continuing. At GIJN we hear of new groups being founded or planned almost every week, from Israel and Thailand to Botswana and the Netherlands. 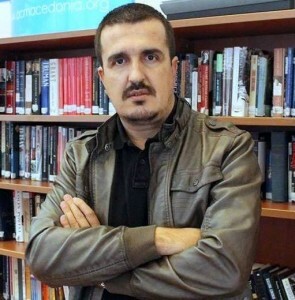 This is the fertile environment in which SCOOP-Macedonia was launched. As I noted earlier, the nonprofit model will not work everywhere. Organizers need not only great journalism but also good management, fundraising skills, and an entrepreneurial spirit. Successful groups have loyal followers, smart marketing, and lots of determination. That SCOOP-Macedonia has survived for five years – in a challenging market like Macedonia — is a tribute to its organizers and supporters. For that, we at GIJN are very happy to wish you all a big Congratulations! We look forward to great things from you in the next five years. David E. Kaplan is executive director of the Global Investigative Journalism Network, the international association of investigative reporting organizations. He has worked as an investigative journalist for more than 30 years, reported from two dozen countries, and won or shared more than 25 awards. 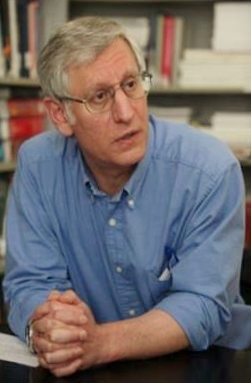 During the 1980s and early ‘90s, at the original Center for Investigative Reporting in San Francisco, he and his colleagues developed the model of a nonprofit investigative news enterprise.